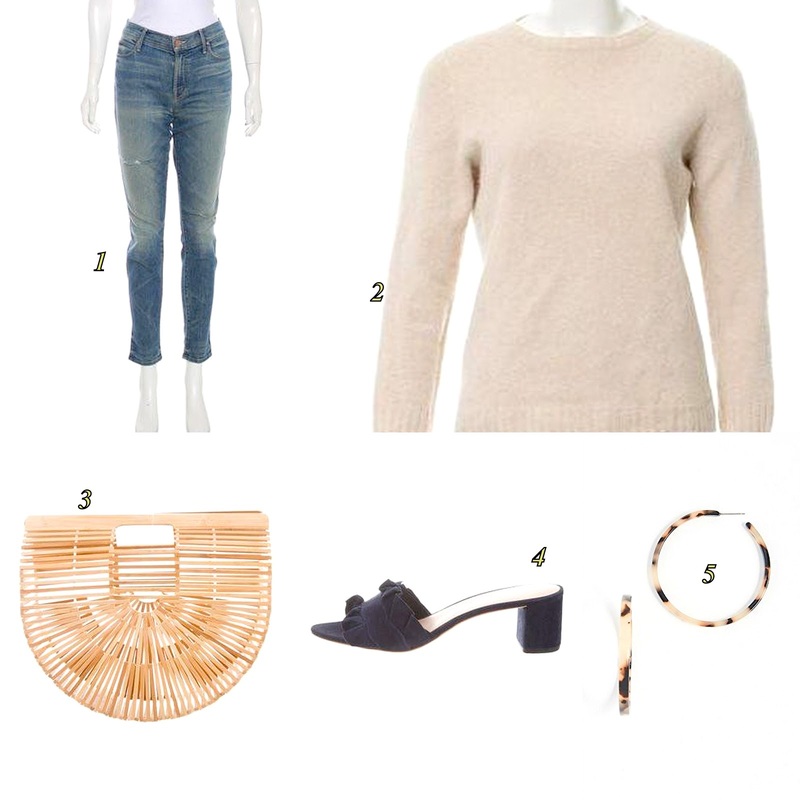 Wearing this awesome flared pair, my knot sandals in denim, they only have the leather ones left and my anine Bing knit. 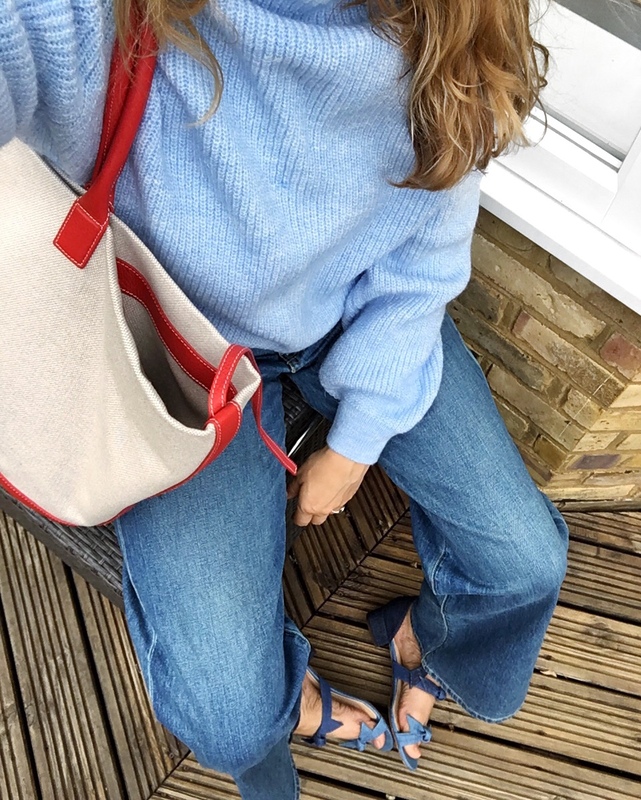 I don't know about you, but this is always a bit of a crisis moment in my wardrobe, I've started stocking up on sweaters, got my eye on a new coat, but suddenly I realized that apart from my flared ones, i don't like any of my jeans anymore. And I need, need, need some booties pronto. It is still warm outside, even if we are in London now, and I have been sweating in changing rooms around town, trying out all the new jeans on offer. I am sorry to say, but I always do this, I try them on in store, and order online. I make my list, wait for the Shopbop sale and go. 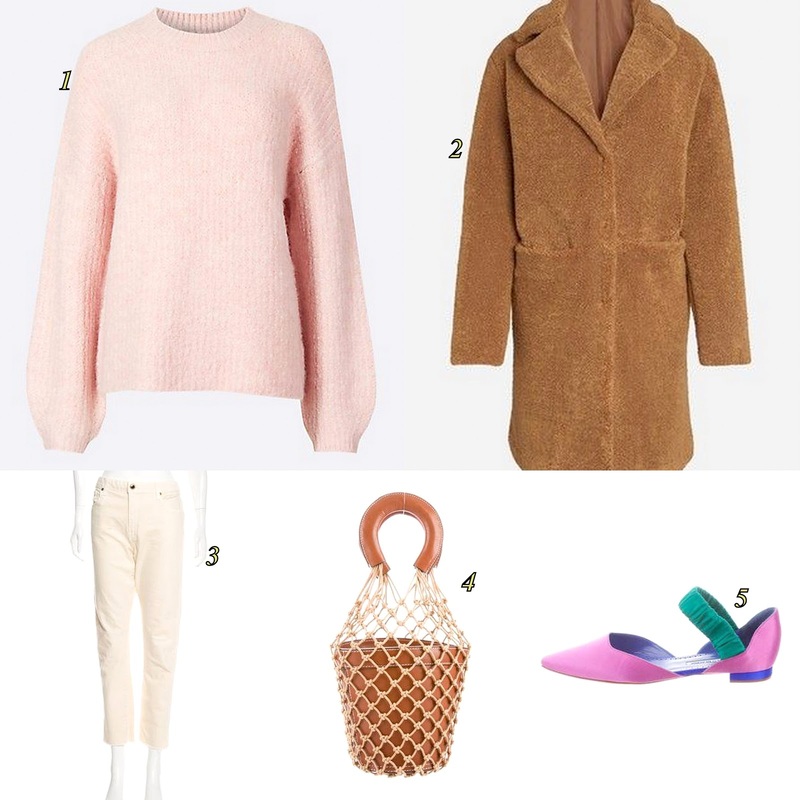 This year, it has been especially tricky; suddenly everything is very cozy, cute, the jeans are all a perfect fit; designers decided to provide us with precisely what we need. Thank you! 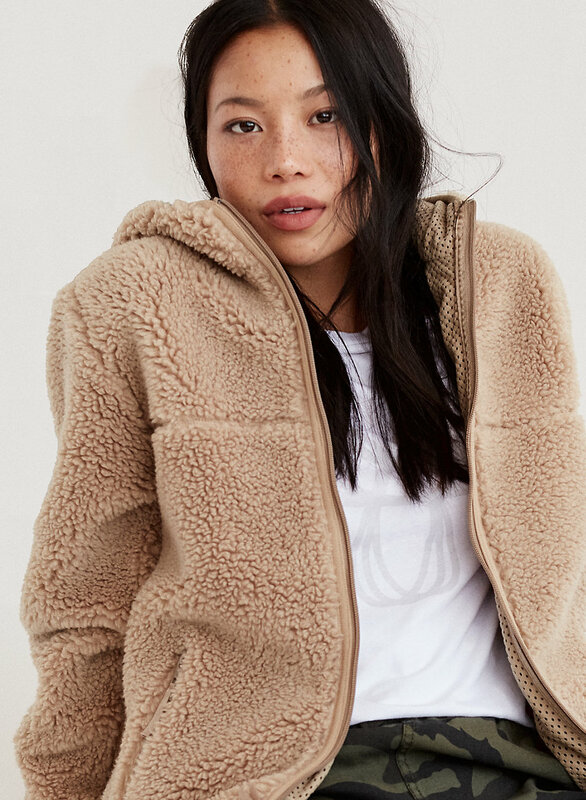 Coats and jackets: If you don't already own the Madewell moto jacket, run, Especially at this price point. 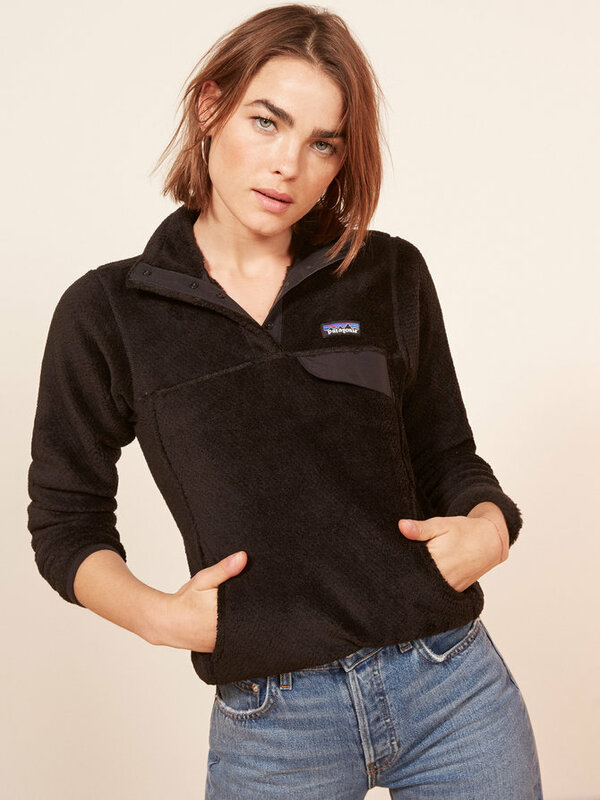 Every cool girl in London is wearing this blazer, they have different versions, with another color running through the check print and they are all so worth it. 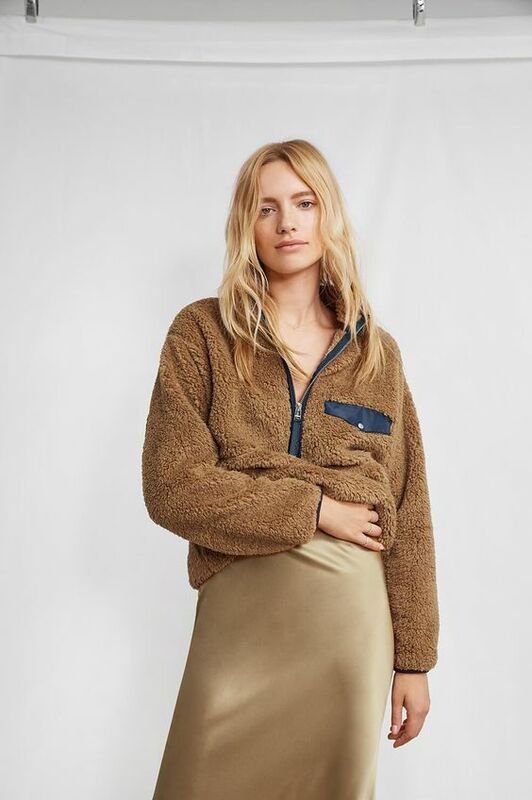 Sweaters: I do have some good ones in the rotation already, Sezane and Anine bing ones, but I need some neutral ones and are going for this one, this one and this cashmere one, all in cream. Jeans: This is where I will spend the bulk of my money. The best thing about this sale is that you can get the newest styles at a discount and apart from the Nordstrom sale, that doesn't happen. I don't understand why Isabel Marant's denim isn't more popular. I have a pair from 8 years ago, that is still in perfect condition and style, they are amazing, and these winter whites ones are dreamy and so cool. The jeans of the season are these by Re/Done, I tried them on yesterday, and for taller girls like me these are amazing! For you classic everyday jeans you cannot go wrong with this pair. Or this one. Can't choose, bought them both. And Paige makes the best black jeans, period. I don't need new tops, that is the one item I am swimming in, but these are the ones I own and can recommend: This is the best striped shirt ever, so comfy and flattering. These are my favorite sweatshirts and this color is darling. And I am also always wearing my Sundry ones. And I love the sleeves on this one. This is the sexiest and comfiest cami. I am not going to try the dad sneaker trend, it is not for me. I like my sneakers still to be classic, and versatile. For white ones I am going this very affordable pair, I don't want to spend too much on white ones for obvious reasons, but these are incredibly comfortable. And I also bought these, and I'm in love with them, fifties meets nineties perfection. won these cute rain boots and can Highly recommend them, they go with everything, and do not mess with whatever outfit you got going on.As for booties I am still trying to choose between this pair and these. As for bags, apart from the Shinola carry one, that I carry on the photo, I only carry my Staud ones these days, I love the Bisset bag, but if you don't own a Staud bag the Shirley bag is everything you need this winter, so so cool, and trust me, irl it is even better. 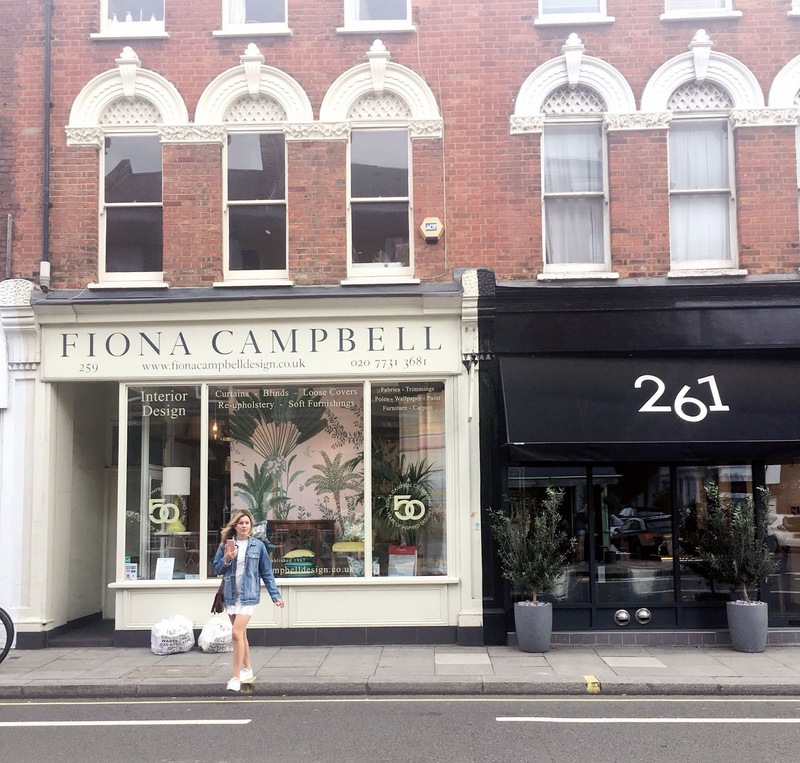 New Kings Road in Parsons Green is one of my regular haunts. My Whole Foods is just around the corner and to get there I can bike all along the Thames, crossing the lovely Bishop's Park. If you find yourself in this part of town, I would recommend that you make a stop at Deuxieme, a consignments shop with an up to date roster of design goodie. Last time I was there, a girl just snagged a cute Bella Freud sweater before I could, and I saw some very cool Air Max and a gorgeous pair of Sergio Rossi's. 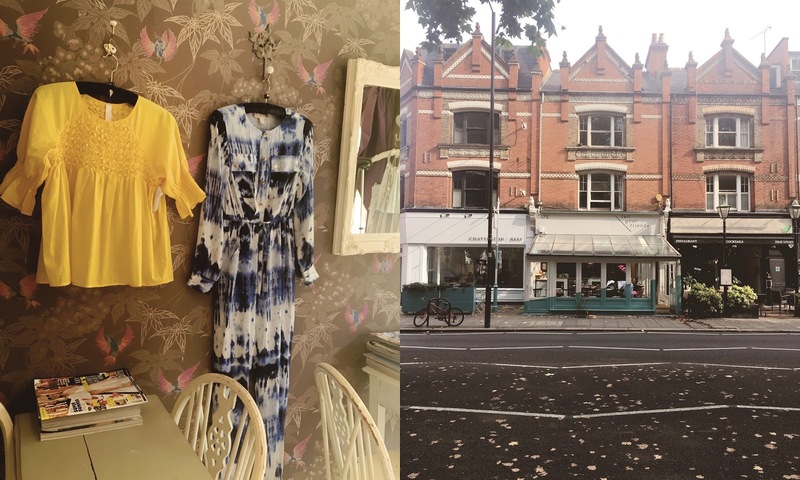 Walk along the excellent furniture shops and then stop at Hally's or Little H across the street. 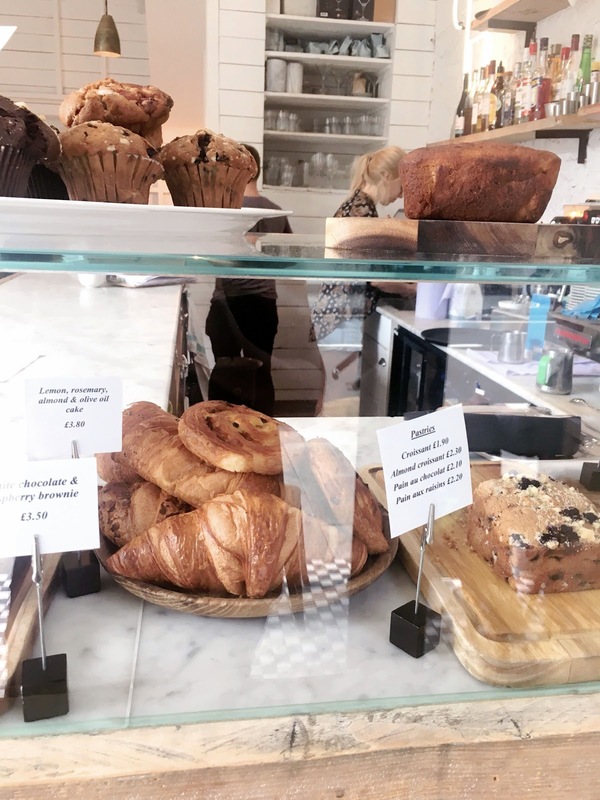 These two places were started after its owners took a trip to Cali, and realized that a Venice inspired restaurant would be a brilliant addition to the London coffee and food scene. 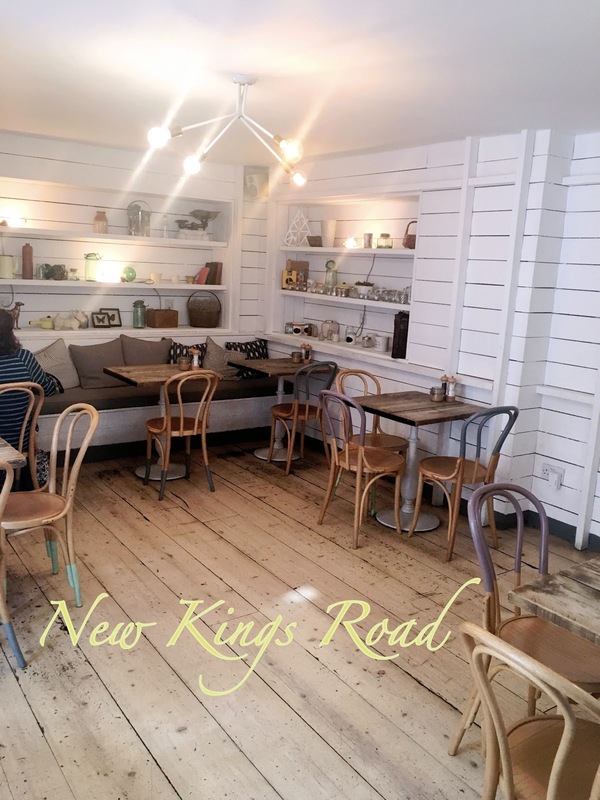 So they remodeled an old building, made it look like a Californian beach house - complete with reclaimed wood floors, pastel dipped chairs, white clapboarding and neon signage. It gives a fresh, light vibe that can't help you put you in a sunny mood. 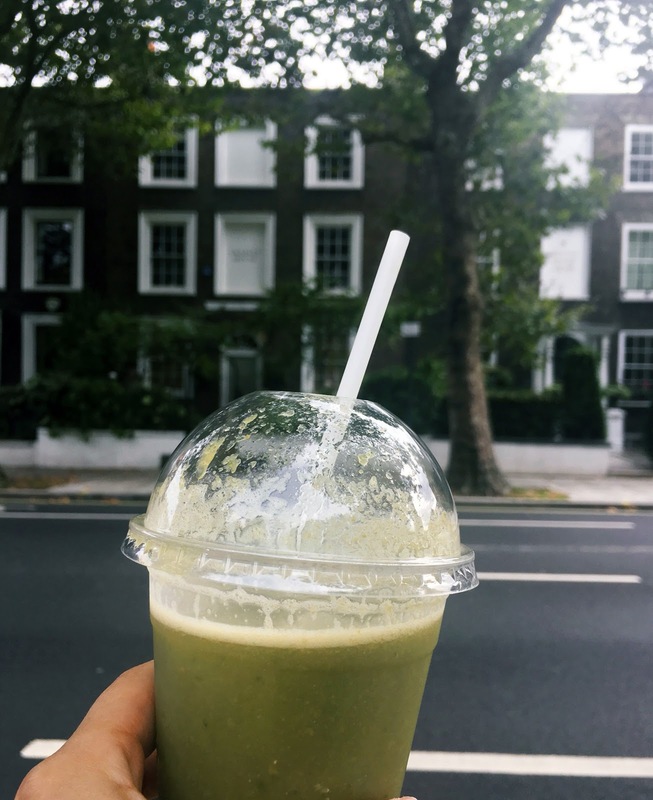 From there you can walk to and lounge around on Eel Book Common, crossing it will bring you to the busy where you can find all your High Street favorites, or you can head back to the park, hang out for a long and lazy afternoon, or visit its Fulham palace. I still don't know what kind of boots I will buy this fall, I wore the cowboy boots years ago and not keen on repeating that trend. The other option this fall is to stomp around on a chunky pair of hiking boots. Now, I will do some hiking, and it feels weird to buy two pairs, one only for show. So I guess I will stick with the classics, a Chelsea, or Cuban bootie. 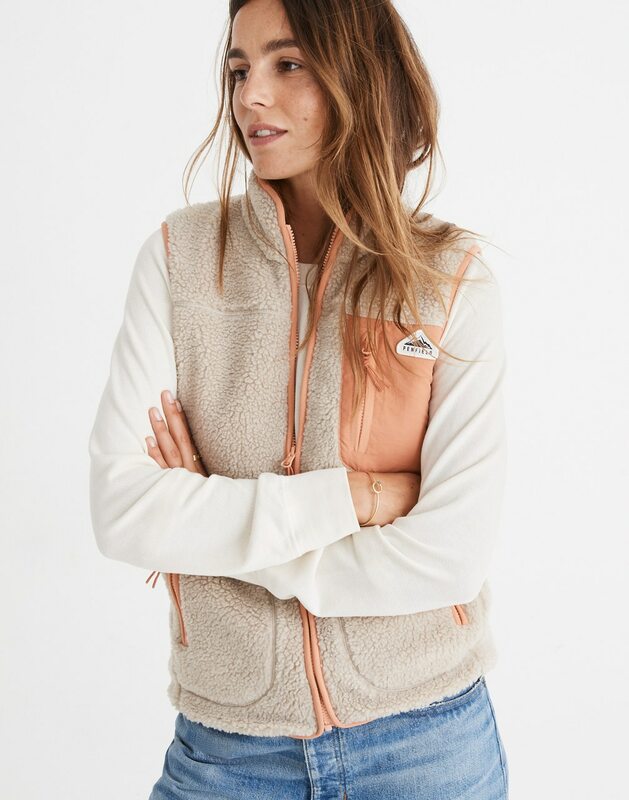 But I do look forward to adding some more prairie and outdoorsy inspired pieces to my wardrobe; I feel it's a whole lot less gimmicky than a pair of shoes and much less of an investment. 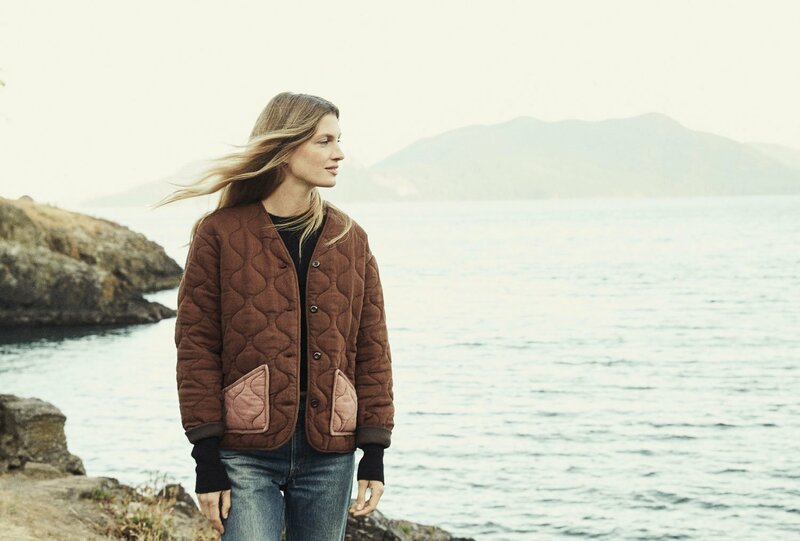 A trend I like is the outdoorsy inspired jacket, the fleece or just made from rugged material works with simple jeans, or even better, paired like the Anine Bing piece with a skirt. It's comfy, fresh, and feel right. The great thing is that you can wear it so many different ways; with a flower print dress, with a black tank and high waisted black pants, with a simple tee and jeans, or streetwear inspired with dad trainers. I wouldn't wear it to work, but it's a perfect transitional piece for the weekend, and it's great for travel. And just cool. I want the Doen jacket above, here are some of my other favorites. 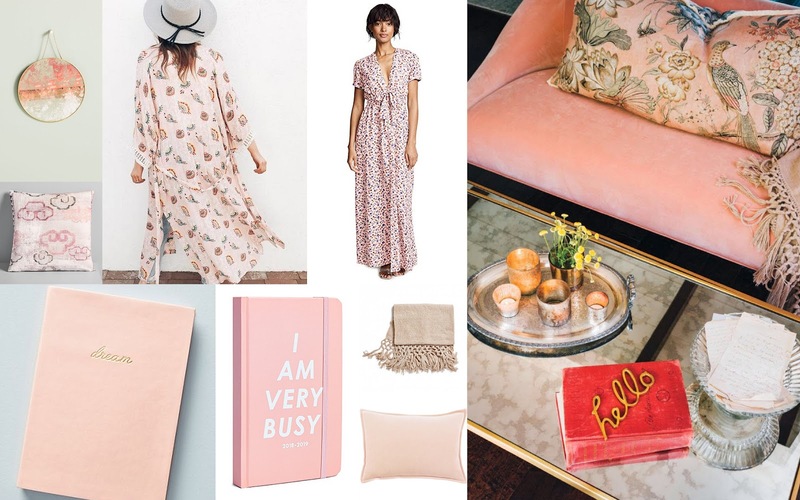 The pink velvet sofa with the chinoiserie pillow in Bellamy Young's house (check the spread out here) put me in the mood for some lush, cosy pieces. I wanted a pink sofa for a long time, but none of my current ones are in need of replacement, so, for now, I'll calm my cravings by changing out my pillows for these crushed velvet ones. 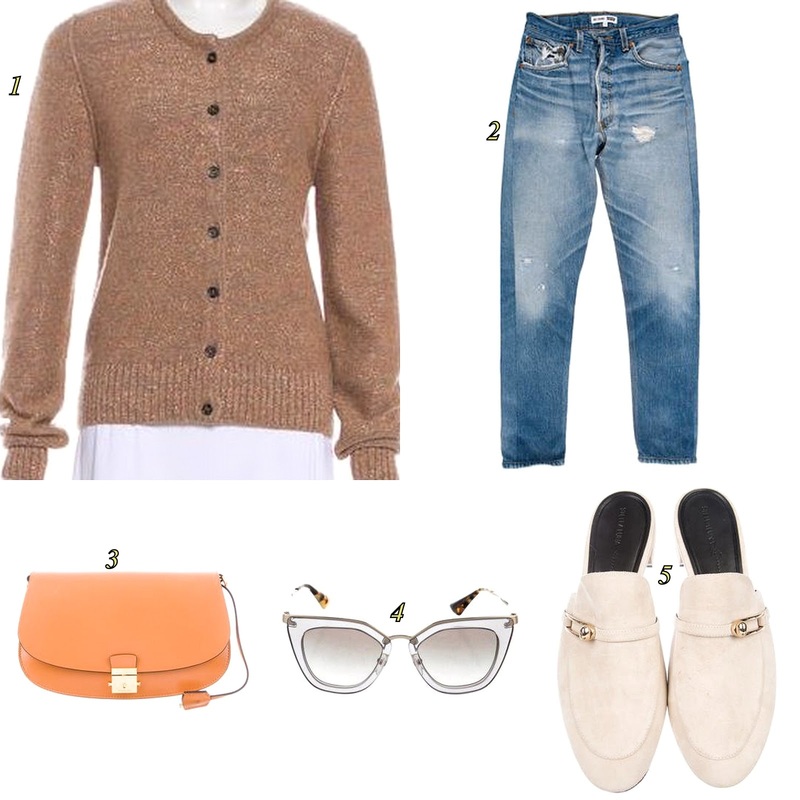 It's a trend for fall that adds coziness without going full autumn yet. And I love that kimono, I just ordered it and can't wait to lounge in it.